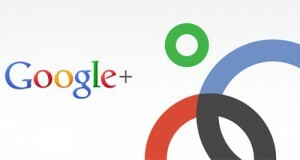 The running joke in social media circles is that Google+ is a wasteland. No one goes there or pays attention to anything posted there. Facebook and Twitter remain royalty with all other networks orbiting them. The more this myth is believed by communications pros, the more we do a disservice to ourselves and to our clients. Facebook is dying. Slowly but surely, it is committing suicide. I won’t be so bold to say that Google foresaw this when it launched G+, but clearly it has positioned itself as a viable alternative since Facebook went public. G+ launched in September of 2011 with as much anticipation as skepticism based on Google’s previous entries into the social sphere (Buzz and Wave anyone?). So where are we now 15 months later? Google announced 500+ million people signed up for the service with 235 million passively involved (e.g. using Hangout feature or +1) and 135 million are using all features of the service. So, less than a year and a half in, Google+ has half the number of Facebook users; generally accepted at 1 billion. The mobile space is an area G+ is poised to overtake Facebook very quickly. Facebook’s mobile apps leave much to be desired. Difficult to use, the Facebook experience on your phone is completely different from what you experience on your computer. Compare that to Google+. Its recently redesigned apps for iOS simulate the experience from your computer as closely as any app I’ve ever used. There’s not feature that’s missing, the design is gorgeous, and the ease of use is amazing. All of this is great, but none of this is why Facebook is going the way of the old MySpace. Facebook doesn’t have a viable business model. Its stock has been up and (mostly) down, opening trading at $26.50 on Wednesday morning; about $12 below its IPO of $38. It can’t sell its advertising effectively, it is grasping at straws at new ways to create revenue, and those new ways tend to draw massive backlash. Google on the other hand, doesn’t have to worry about monetizing G+. It simply adds the data it generates to bolster its search product. That means Google can cater to the needs of its users without worrying about its stockholders. A company whose stock continues to drop is a company hemorrhaging cash. As Facebook continues to put its revenue needs above the experience of its users, it will continue to push people to G+. My prediction is that Google+ has as many or more active users than Facebook by New Year’s Day 2016. Previous PostInterview with Mark Schaefer, Part IINext PostWho Owns Social: Everyone. Period.